Want to get into the brain of a missionary? 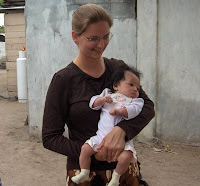 A heart-touching article by my friend Melodie Sankey, missionary to Mexico. "To See and Hear Like He Does"